The Nigeria Union of Journalists (NUJ), Rivers State Council, has described the death of its former Chairman, Pastor Augustine Nwikinaka, as shocking and an irreparable loss to the union. Nwikinaka, according to family sources, passed on last Wednesday, after a brief illness. A statement signed by the state Secretary of the union, Ike Wigodo, noted that late Nwikinaka gave his best to the development of journalism while serving as the chairman of NUJ and Chief Press Secretary (CPS) to former Military Governor, Sam Ewang and former Governor, Dr Peter Odili. The statement further noted that the former NUJ chairman left a good legacy when he was the general manager of the Rivers State Newspaper Corporation, publishers of The Tide. 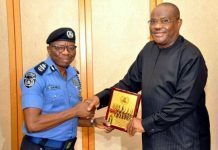 According to the statement, “The former CPS demonstrated an amazing sense of responsibility, commitment; passion and competence that made him excel in all the assignments given to him. “Nwikinaka’s outstanding performance as the state chairman of NUJ; his finesse as CPS to former governor, Dr Peter Odili, and the innovation he brought to bear on The Tide Newspapers when he was general manager are eloquent testimonies of his track record as an outstanding journalist and media manager. While the Rivers State Council of NUJ commiserates with the family of Pastor Nwikinaka, the union also prays God to give his family the fortitude to bear the huge loss.